Arvind Kejriwal beware! The Betrayed Brotherhood and Ludhiana's Robin Hoods are coming for you. In a surprise move on Friday, former cricketer Navjot Singh Sidhu and former India captain Pargat Singh announced a joint front to contest the upcoming elections in Punjab. The fledgling party, called Aawaz-e-Punjab, will contest all the 117 Assembly seats in elections scheduled at the beginning of next year. It will be led by Sidhu. Prime facie, the new front appears to be a congregation of leaders rubbed the wrong way by Kejriwal. Apart from Sidhu and Singh, who were reportedly ditched by Kejriwal after being invited to join the AAP, the fourth front would be joined by several former AAP leaders, including the sacked convener of its Punjab unit-Sucha Singh Chhotepur. But, if sources are to be believed, the real mover behind the new coalition is another man yearning to avenge his humiliation by AAP — Yogendra Yadav. Sidhu, Singh and Bains Brothers Balwinder and Simarjit — both independent MLAs once close to the Badals — met in Delhi two days ago to give final shape to the new front. The matchmaking, sources said, was done by Yadav. The move was announced by Sidhu's wife, Navjot Kaur, a BJP legislator. It was later confirmed by the Bains Brothers who put out a photograph of them with Sidhu and Singh, with the tagline: Awaz-e-Punjab, Jaanche Parkhe Te Har Kasauti Te Khare (tried and tested, found to be true after every test). The alliance had become inevitable after the recent rumblings in AAP and a series of steps taken by Sidhu that had turned him into a political pariah. 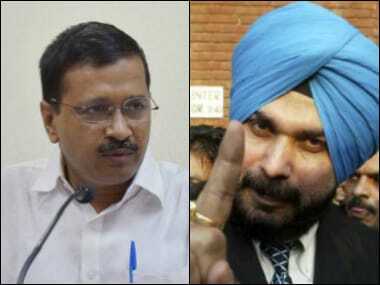 Former RS member Navjot Singh Sidhu and Delhi CM Arvind Kejriwal. A few weeks ago, when Sidhu resigned from the Rajya Sabha, it was widely believed that he would join the AAP and become its chief ministerial candidate in Punjab. But, Kejriwal shut the door on Sidhu, turning him into an envelope without a post office. 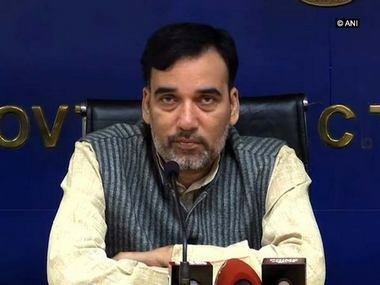 Simultaneously, infighting within the AAP led to Chhotepur's exit and a mini rebellion, pitting a section of the local leadership against Kejriwal and AAP's core leadership comprising the "UP coterie", a moniker assigned to Sanjay Singh and his team of outsiders running the poll campaign. On the political chessboard of Punjab, AAP appeared to be in a position of strength till a few weeks ago. The Akalis had become hugely unpopular, the AAP campaign against drugs was resonating among the masses and the Congress was finding it difficult to counter Kejriwal. But, the AAP has been rattled by internal fights that have now created the impression that Kejriwal and his acolytes are humiliating and sidelining local Sikh leaders. It is facing some résistance also because of the inability to prop up a Sikh as the face of AAP campaign. It is apparent from the tagline put out by the Bains Brothers that the new front will sell its Punjabi identity as the USP. By positioning themselves as the Punjabi Brotherhood taking on outsiders, Sidhu and his new allies plan to counter AAP's popularity. 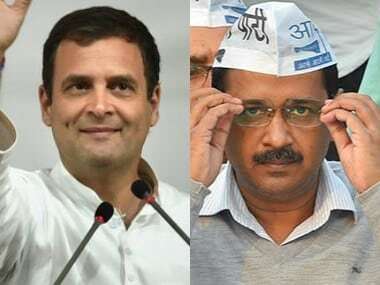 On paper, the new alliance appears capable of harming the AAP because its leaders have deep roots in their constituencies. The Bains Brothers, legislators from Ludhiana, claim to be vigilantes and protectors of the poor because of their image of aggressive street-fighters. In the previous elections, they had beaten two Akali stalwarts by a huge margin, buttressing their credentials as regional heavyweights. Former Olympian Singh, who quit the Akali Dal recently, is a well known figure in Jalandhar, from where he had won in the 2012 elections. Sidhu and his wife have won several elections from Amritsar. Together, they cover three politically significant regions of Punjab. Punjab is a tricky state. In 2012, the Congress was denied a shot at power in spite of improving its vote share because Akali rebel Manpreet Badal's outfit, Punjab People's Party, divided the anti-incumbency votes. In the next election, Sidhu's outfit could perform the same role, taking away a crucial chunk of votes that may have gone to the AAP. 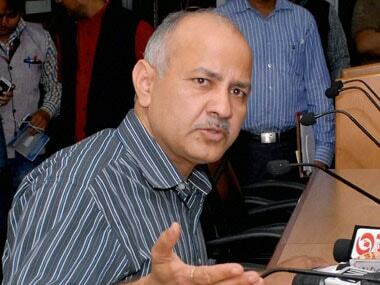 If that happens, Kejriwal's dream of ruling Punjab may be thwarted. And the Betrayed Brotherhood may extract what it is craving for — revenge.